Admit it. You’ve been looking at those Foveon cameras coming from Sigma with a growing sense that whilst the 3-layer process has benefits, and delivers real differences in image quality, the 4.5Mp output file is somewhat lacking. 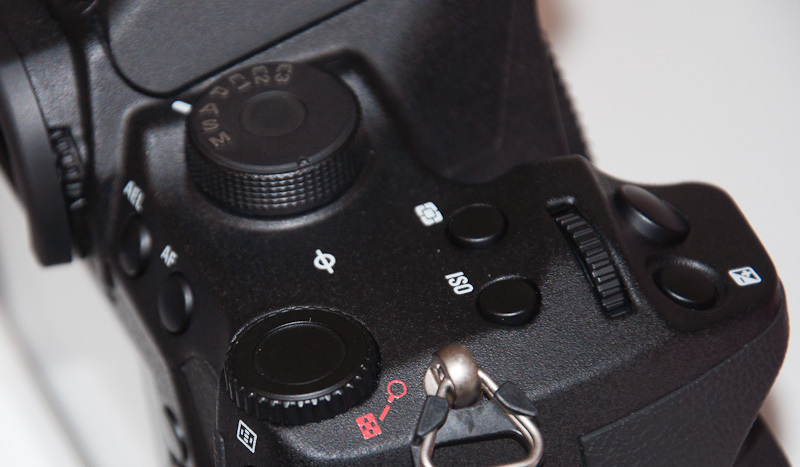 As consumer and prosumer DSLRs head ever higher, with a typical sample of products currently on the market under £1500 ranging from 12.1 to 21Mp; cameras like Canon’s excellent 550D and the bargain Nikon D3100 are so highly specified and versatile that the unique Foveon image quality really has to mean a lot to you to make sense. Well… Sigma’s taking the professionals’ needs more seriously, and here’s how they’re going to answer the question – “How are you going to compete?”. September 21st saw the SD1 announced to the world at Photokina via a French website, the German trade show which bi-annually provides Europes imaging industries with a fairly major launch platform and one-stop shop. Along with the usual new lenses (in this case, revised 120-300 and 150mm Macro) the SD1 is a truly significant announcement for Sigma; however, it may also spell trouble for the individualistic Japanese firm’s existing products. The SD1’s headline specification is a new sensor – the 48.1Mp (16Mp x 3) 1.5 crop factor chip developed largely in house, following Sigma’s acquisition of Foveon. Like most sensors the image area is slightly smaller, giving a 4800 x 3200 pixel (15.36Mp) image, and it’s this headline 46Mp specification that Sigma are focusing on – though the real headline is the massive leap in spatial resolution whilst retaining the unique qualities of Sigma’s X3 CMOS sensor. Undoubtedly using technology lessons learned during Foveon’s flirtation with mobile phone cameras, the new technology brings the output filesize bang into the middle of current professional systems, with 16Mp output sitting very well alongside Nikon and Canon’s professional APS-C offerings. The rest of the camera, bar a magnesium weathershielded body, is fairly consistent Sigma camera technology. Having handled the new SD1, I can confirm that the body engineering is in a different league to the SD14 and SD15. The body is strong, yet very light. Personally I find the square, solid grip extremely comfortable, and the dials for PASM(C1, C2, C3 also suggesting custom functions) and power/mode are Metal, with the legends in raised 3D relief. The mirror up position remains marked, so that function is probably carried over. 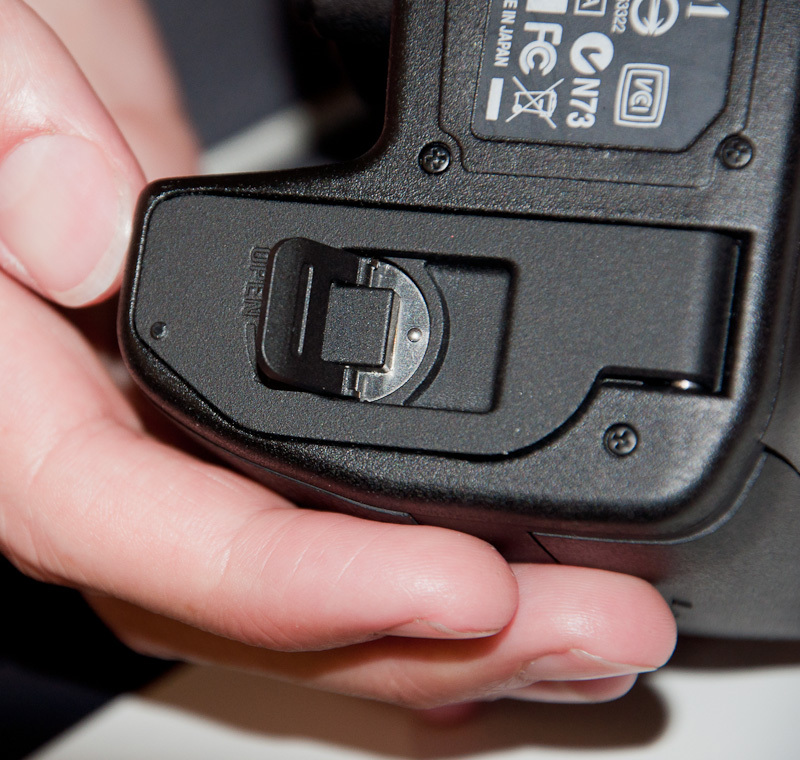 The battery door has a positive twist latch and contains a fairly standard Sigma battery, contacts visible suggest a future power grip option if not compatibility with the PG21. Compact flash card door is solid and positive. 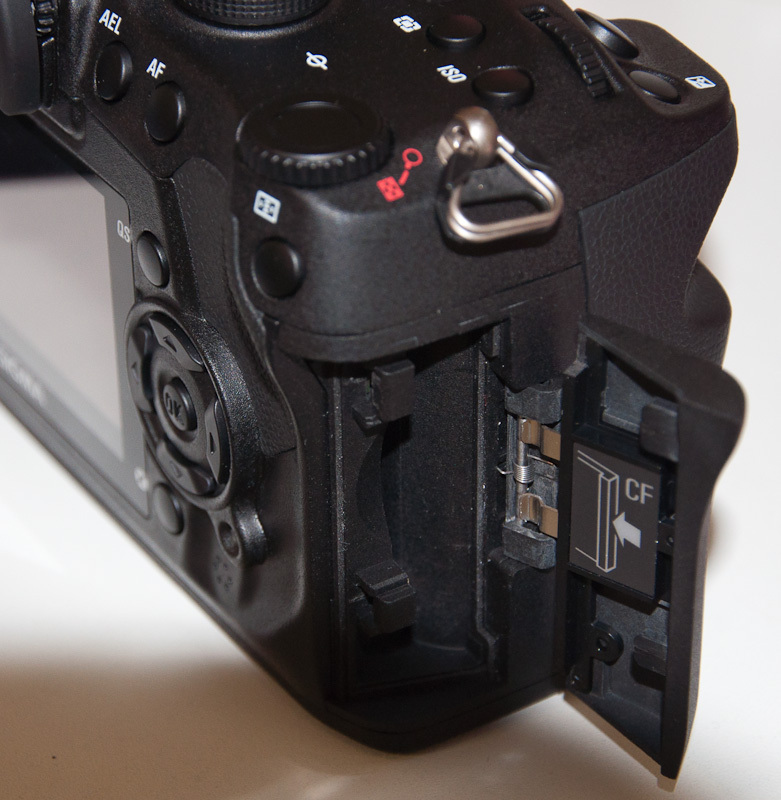 Flash sync, USB and power connectors are behind a rubber strip cover, no HDMI but video as per DP/SD15. The on camera flash raises high above the prism, which should reduce vignetting/falloff with longer lenses. Sigma are reluctant to give an on sale date as yet, but the pre-production model is highly promising, looks well finished and complete. A hot mirror is present, and removable. I had the opportunity to see a print from the camera, and it is stunning. This is apparently full size printed at 180dpi without any resizing (the 4800 x 3200 pixel spatial resolution translates into 26 x 17″ without any interpolation of the final file at that dpi, so there’s no fudging of the figures here). Sigma's SD1 46MP DSLR with Foveon technology. Looking at the press release and specifications, we can draw a couple of conclusions. One, this isn’t going to be delivering video; though it may deliver Live View. The image pipeline consists of two TRUE-II processors, but they’re handling 3x the amount of data – shot to shot speed is probably going to be in the region of 36 seconds once the buffer is full, and no buffer details are given – I would expect the physical capacity to be double that of the SD15 and therefore around 66% of the frame-to-frame performance when shifting this much data. What may help that is the presence of Compact Flash. 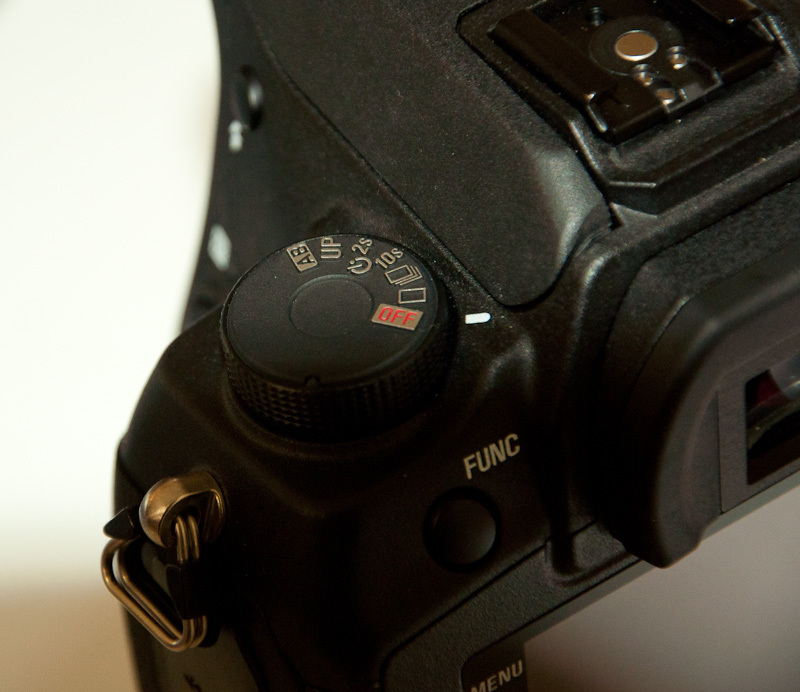 though SD and CF cards show very little difference in Sigmas past. The rear LCD sounds like the same 450,000 pixel 3.0″ display from the SD15, and whilst the 11-point AF is new, an UP logo on the drive/power wheel suggests we’ll also find the SD15’s new mirror/shutter mechanism with lock-up functions and immensely smooth operation – though mirror lock up isn’t mentioned in the specification. And that’s about it from the initial release. New releases from Sigma generally take some time to get to market, a source of irritation for forum users and commentators but if nothing else, predictable and comforting to real Sigma owners, who can be sure that their camera’s obsolescence is not dictated by a relentless marketing push but genuine improvements in technology. However, the SD1 should, and will, have the attention of a new group of fashion, wedding and landscape photographers. 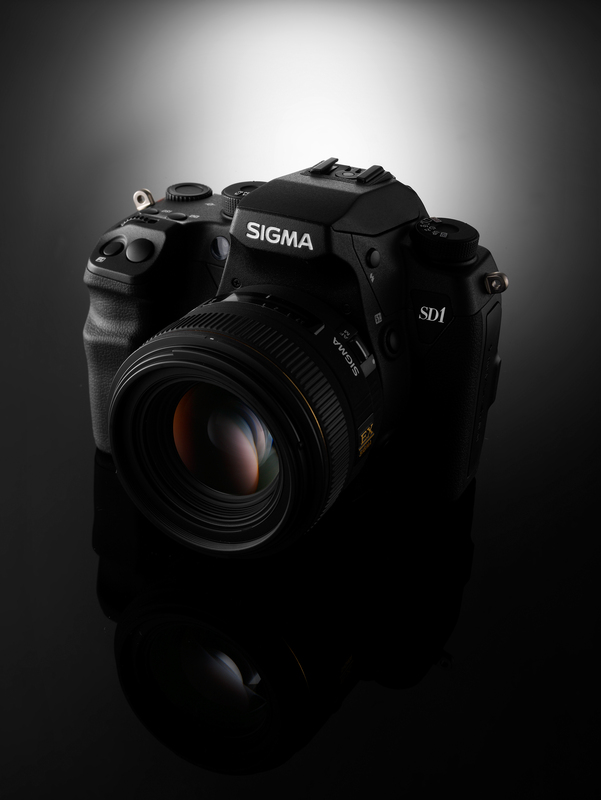 What’s telling is that the SD15 launched not at Sigma’s traditional camera launch price of over £1000 in the UK. 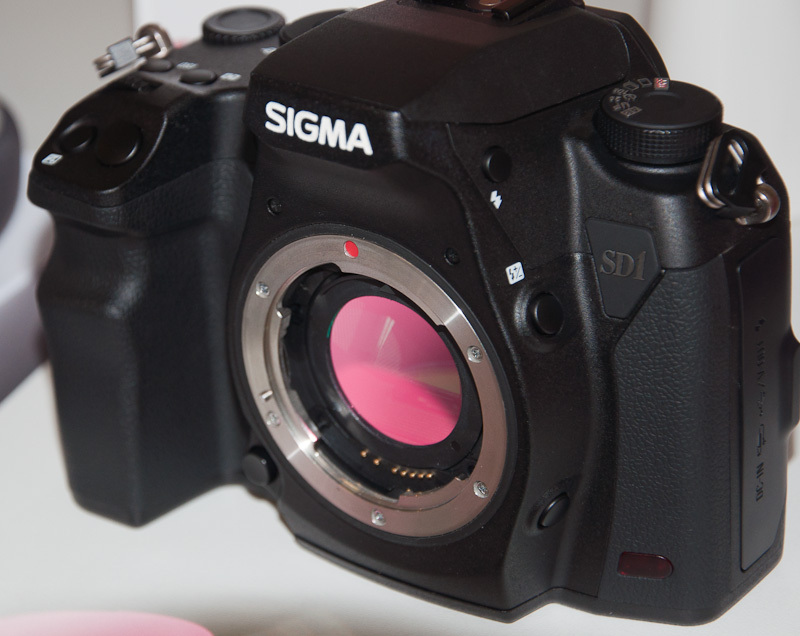 The SD1 could carry any price, with the stated resolution who knows what Sigma’s cost and sales targets are. If, as it seems, there is a space sub-£2000 that the SD1 can occupy; perhaps around the £1800 mark, then it will be a real contender regardless of the tertiary specifications. It could be an absolutely unbeatable macro system for example, with that 1.5x crop and lack of colour interpolation to interfere with fine definition on small subjects. 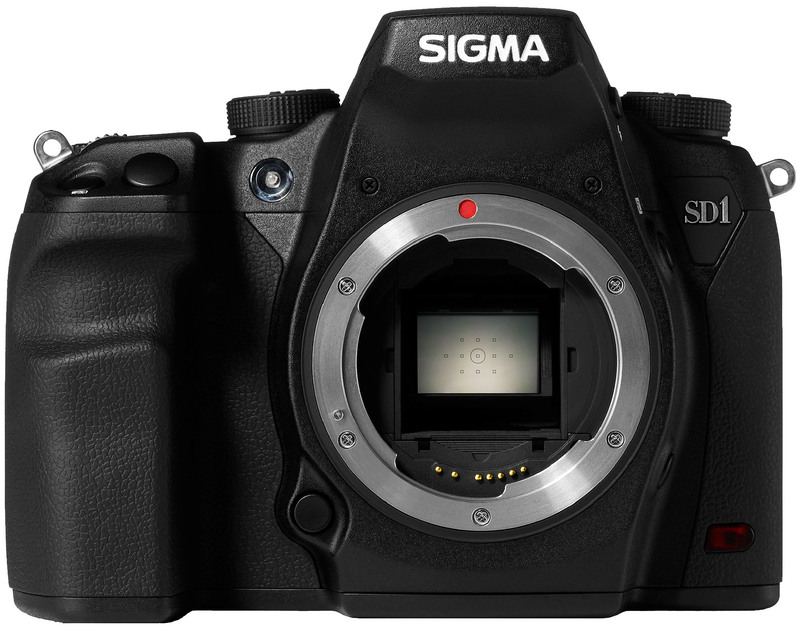 Sigma may position the camera higher – yet I see the SD1 being to 2012 what the SD9 was to 2002; and if that’s the case the pricing may be strong. When the SD9 came out, it stood head and shoulders above the competition in terms of image quality at a time when Nikon DSLRs still had clear roots in their film bodies and Canon’s largest digital user base had “Kodak” written on their bodies. The SD1 looks set to repeat that in a much stronger marketplace; bringing what should be 26-33Mp-equivalent image quality without the colour interpolation of a Colour Filter Array sensor and the startling sharpness that the lack of low-pass filter brings. Even if we assume a logical progression of technology and have realistic expectations of ISO and speed, for this group of photographers working with flash the SD1 could bring a uniquely film-like quality to photography without the compromise of lower spatial resolution that past Foveon DSLR users have worked with. Hell, short of full-frame, this is approaching my ideal studio camera spec and I am not alone in the Sigma userbase in wanting this kind of spec, for those reasons. In the wider marketplace, the SD1 could damage Sigma partly because it is such a strong specification and significant leap forward. If Sigma’s past launch schedule plays out, we can probably expect to see the SD1 in users’ hands around 2012 – announce at Photokina, preview at Focus, ship after Focus the following year. Naturally I’d urge Sigma not to follow this pattern, please, but this is the reality of their past launch schedules and I see no reason for this to change. In the meantime, without published prices or availability the SD15’s sales may be hindered. 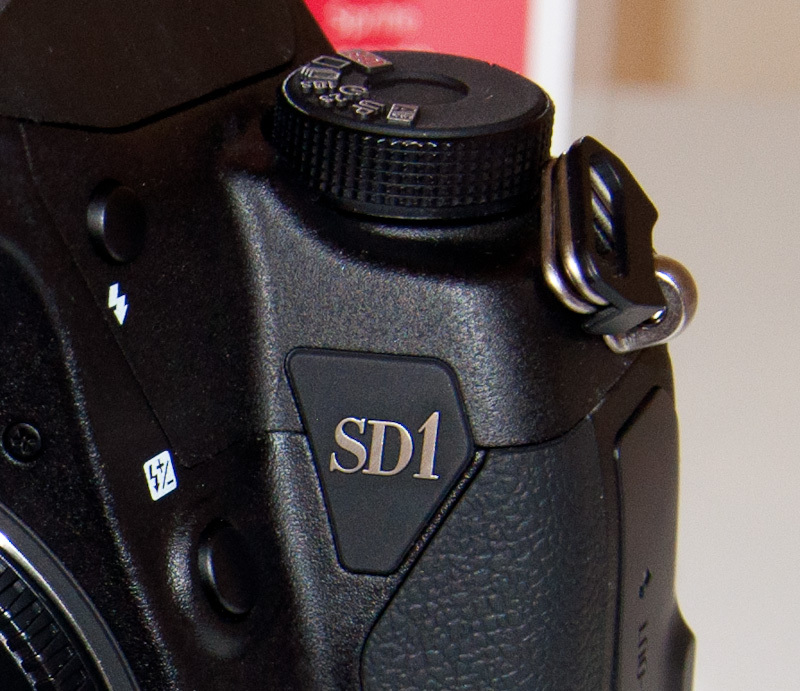 SD15 buyers do at least now have something to look forward to that could justify their lens investment going forward. In perspective, medium format users have endured this sort of timeline for eons, and we expect our cameras to last. The stunning Mamiya ZD DSLR was announced in 2004; I didn’t have one in my hands until the end of 2006 by which time the resolution was outclassed and the performance considered abysmal (even though sitting down and thinking about it, you realise that the bandwidth of the imaging pipeline was pretty much the same as contemporary systems). How long would you be prepared to wait for the image purity of a Hasselblad H4D-Multishot in an affordable, manageable system – and without the static subject limitation of sensor-shift capture? 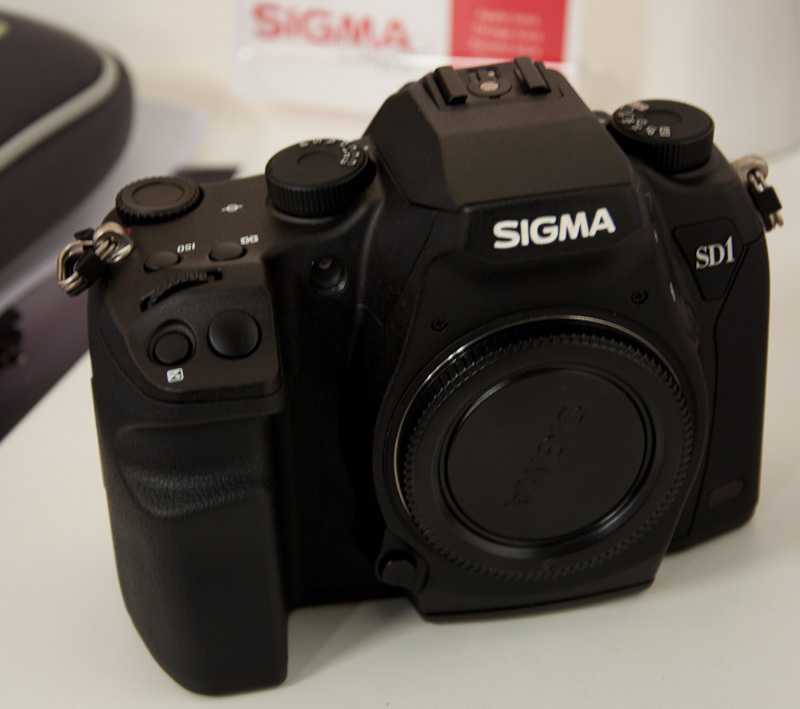 The SD1, whether it ships in 2011 or 2012, is a huge leap forward for Sigma, and an even bigger leap for Foveon’s X3 technology. As we enter the second decade of the 21st century it’s apparent that perhaps the ubiquitous Bayer CFA’s limitations can be avoided after all. With Canon announcing 100Mp+ APS-C sensor technology in their labs though, it’s essential that Sigma brings it to market ASAP – otherwise it’s going to launch into a numbers-driven, 40Mp+ Bayer market where the defining characteristics are frames per second, tertiary features like video/screen size/whether it has GPS or a coffee machine, and image quality in the purest sense has little relevance.